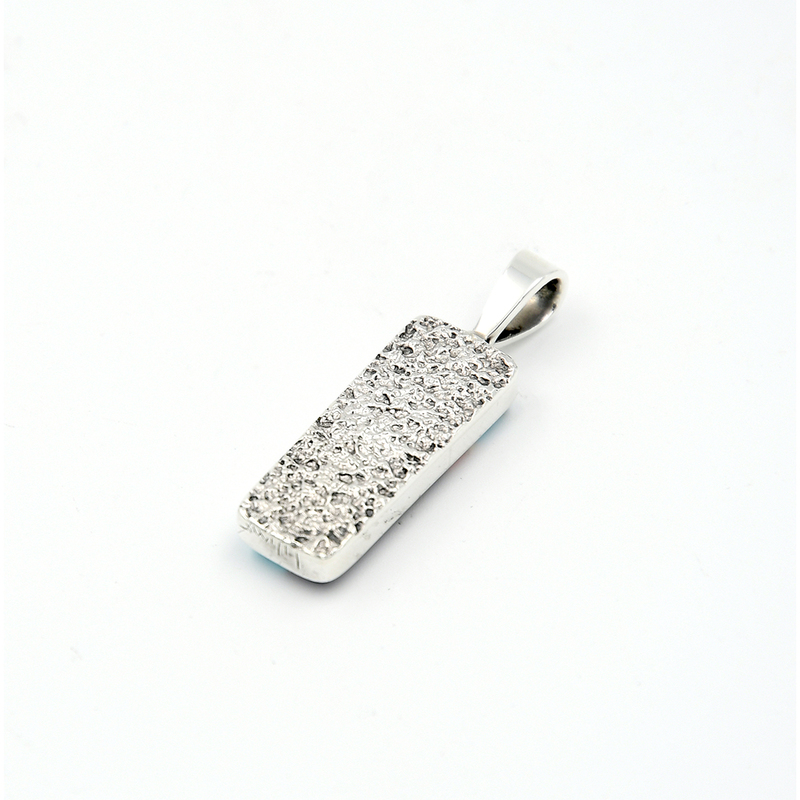 Hopi artist Charles Loloma created a sterling silver pendant which is double-sided. 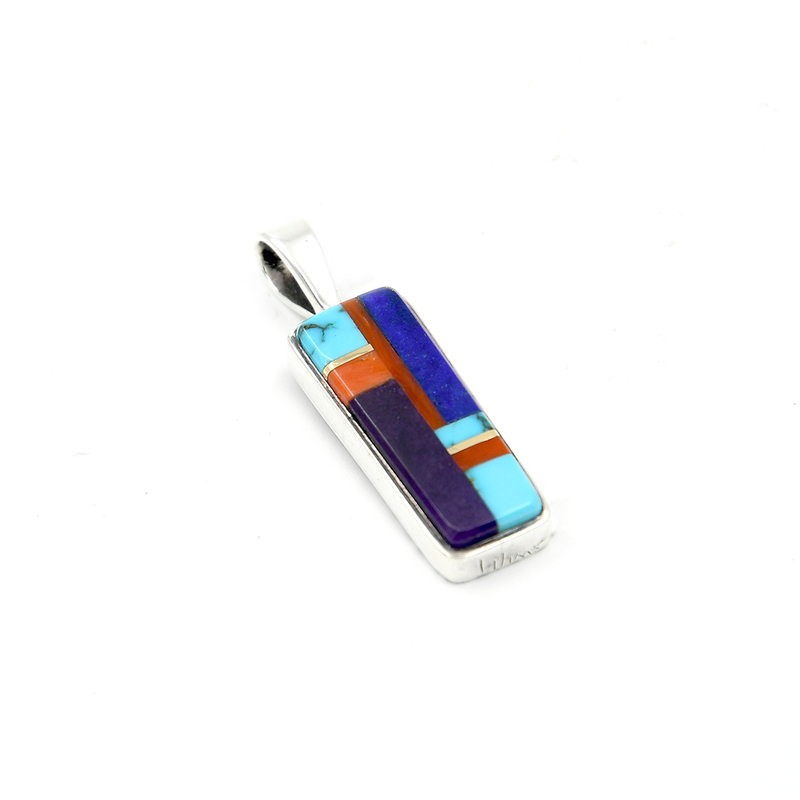 The front features Turquoise, Lapis, Coral, Sugilite, and Fine Line Gold Accents. The reverse side has a nice tufa cast texturing.